The inspiration came from Japanese mythology. There was a thunder god often depict as flying among the sky. The original thunder god is usually more of a monster appearance but my version is a little more human like. 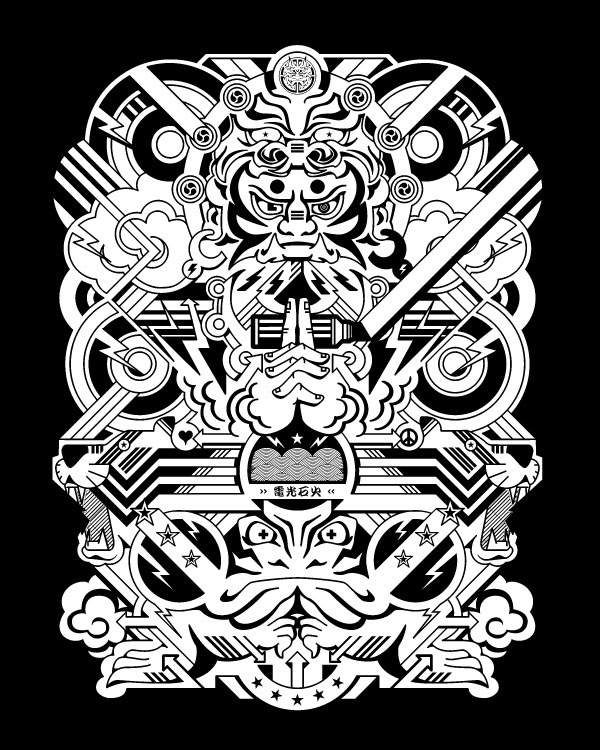 The design was screen printed on dark color paper for the gallery show.